The staff, referees, volunteers and teams made it such a wonderful experience for all of us who attended. Algonquin college was such a wonderful venue host to the Ottawa FLL Qualifiers! This year, the FLL RoboRavens consisted of ten new members, two first time mentors and a new coach. 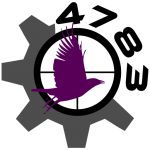 Since all the members were new, they prioritized much of their time to learning programming, designing the robot, and thinking of a project idea. 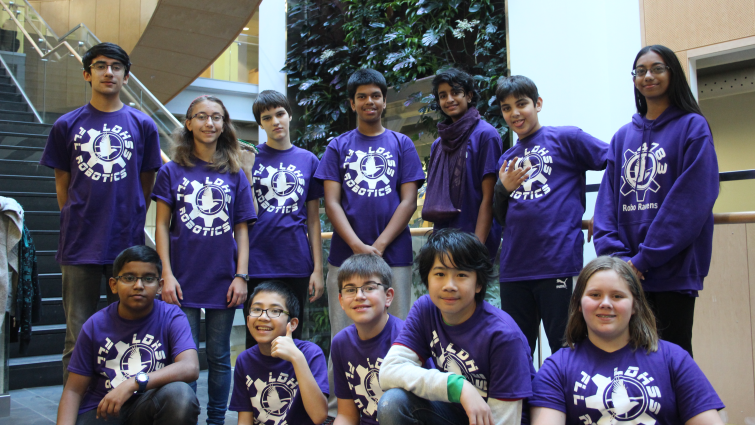 FLL originally started as a club for our school’s grade 7s and 8s, but as we got closer to competition, 10 students were selected to be part of the team. For about two months, they worked diligently on the robot and the presentation. They were working on the missions till the last minute! The team experienced several obstacles along the way, but through the help of mentors, coaches, and their dedication, they were able to find solutions. At the competition, they got to meet a lot of team. A team from Berrigan Elementary School, one of our high school’s feeder schools, was there as well! Our team went right to work on setting everything up and practicing to perfect their mission. Unfortunately, no points were gained on the first official practice round due to stress and inaccuracy while performing the missions. The team members referred to the videos our mentors took of the practice round so that they could learn from and fix the mistakes that they made for the next round. In the second practice round, they completed one mission due to the time taken to change the attachments between the missions and penalties. The team did intense modifications and developed a better strategy before the next, official first match. The major upgrades made improved the robot’s performance! The team also did their core value and robot performance presentations, which went very well. In the first official round, the robot had better speed and accuracy than the practice round, and gained the team 35 points. Many penalties occurred in the second official round, resulting in a score of 0 points. In the final round, three-quarters of the missions didn’t work and 3 penalties occurred, resulting in 5 points. After the event, we celebrated with Popeye’s and cupcakes brought by the mentors! Though many mistakes were made, we are very proud of the FLL RoboRavens! Many lessons were learned, and notes were taken in order to improve for next year. The FLL RoboRavens had a wonderful experience and learned a lot of valuable skills that they will carry with them for the rest of their lives. In the near future, they may even bring their skills to the FRC RoboRavens! We’re super proud of all the FLL teams that competed last weekend! Congratulations to the three teams that made it to regionals!